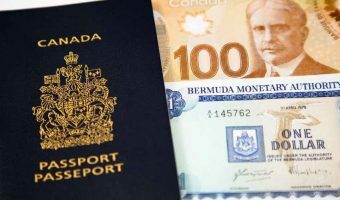 Bermuda 4u > Frequently Asked Questions > Where can I find ATMs in Bermuda? Where can I find ATMs in Bermuda? ATMs (Automated Teller Machines) or cash machines are found throughout Bermuda. Locations include Hamilton, St George, LF Wade International Airport, and Royal Naval Dockyard (Kings Wharf/Heritage Wharf). The main providers are the two large local banks; Butterfield and HSBC Bermuda. Clarien Bank has a small number of ATMs. In recent years HSBC have removed ATMs from various locations including the People’s Pharmacy, Gorham’s, Masters, the Washington Mall, the Esso City Tigermart, and the Esso at Collector’s Hill.